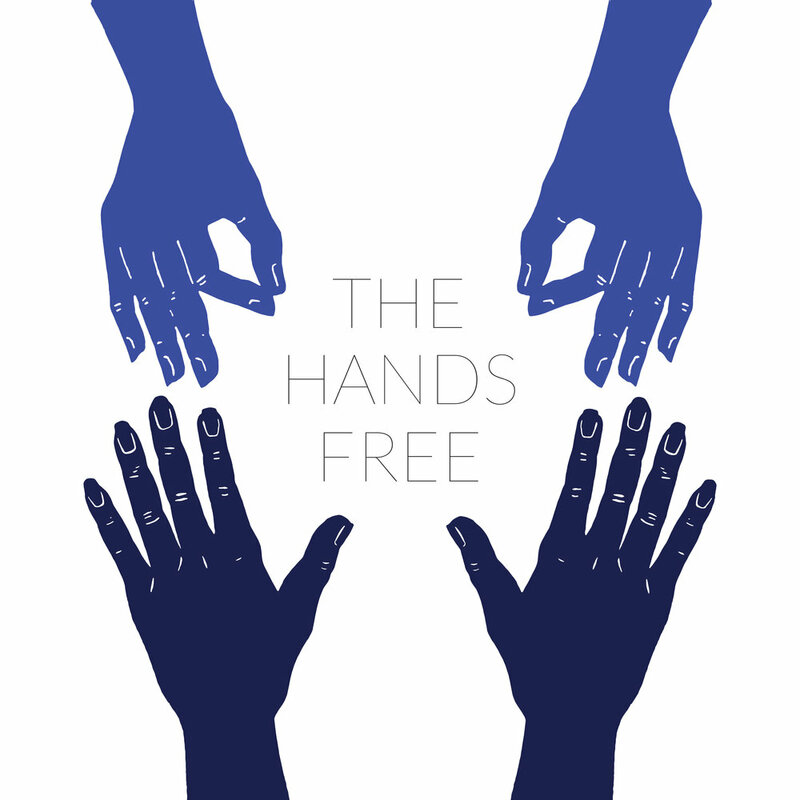 The Hands Free -- a new acoustic band featuring composer/performers James Moore (guitar/banjo), Caroline Shaw (violin), Nathan Koci (accordion) and Eleonore Oppenheim (bass) -- will release its self-titled debut album May 25 on New Amsterdam Records. CD, digital and vinyl pre-orders are available now through Bandcamp here. The group will perform the album works at NYC’s The Kitchen onWednesday, May 30, with the duo of Mary Halvorson (guitars) & Robbie Lee(woodwinds) also on the program. More information and tickets here. The Hands Free draws on ideas and material from folk music, the contemporary classical world, jazz and free improv, a natural arrival point for a group of musicians with a variety of experiences and interests. Caroline Shaw is a multi-instrumentalist, Pulitzer Prize-winning composer and vocalist for Roomful of Teeth; bassist Eleonore Oppenheim performs regularly with adventurous groups such as Glasser, Victoire, and Big Dog Little Dog; multi-instrumentalist Nathan Koci cruises the worlds of chamber music, folk sessions, and musical theater; and Moore is a founding member of the praised electric guitar quartet Dither, and a frequent collaborator with John Zorn. The four performers became friends while collaborating in different contexts for 10-12 years, but found the most joy performing together in scrappy late-night folk jams, which is how The Hands Free came to be. The music for The Hands Free began with Moore’s discovery of sketches inspired by a 1937 collaboration in which the surrealist writer Paul Éluard poetically illustrated line drawings by Man Ray. Éluard and Man Ray assembled their work in a 1937 book Les Mains Libres, or Hands Free, a term they used to describe the free play of the imagination. Moore sought to illustrate these beautiful and eccentric pieces further with music, enlisting his trusted friends Shaw, Oppenheim, and Koci. The Hands Free and its repertoire evolved as the group developed these pieces together, bringing new ideas and traditional folk songs to the table. The result is an eclectic collection of music that has taken on a life of its own through the hearts and minds of the players. Virtually all of The Hands Free’s music incorporates elements of improvisation, making every performance unique, and the group’s favorite way to play is unamplified and in the round, so that their energy abounds. The album was recorded entirely to analog tape in a converted church in Hudson, NY, helping capture the spirit of the group’s live performance. The Hands Free album was produced by James Moore and The Hands Free, and recorded by Patrick Higgins at Future-Past Studios in Hudson, NY. It was mixed by Andrew McKenna Lee at Sill Sound Audio in Brooklyn, NY, and mastered by Joe Lambert. Artwork is by Holly Mulder-Wollan, and album design is by Alexandra Washkin. “Lovely Jenny” was written by Helena Torpy, all other songs written by The Hands Free. Kellam’s Reel/Rusty Gully incorporates a traditional English hornpipe.